I’m a Boglehead. What’s a Boglehead you ask? I’m glad you asked! I could get pretty detailed but it’s simply an investment philosophy. A Boglehead is against market timing, performance chasing, expensive mutual funds, and putting one’s eggs in a single basket. At the core of this philosophy is the term “long term.” I invest for my future, not for short term profits. 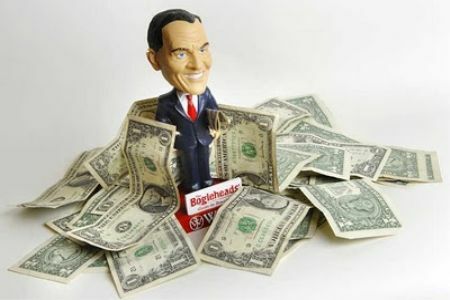 The ultimate goal of a Boglehead is to mitigate risk, invest wisely, make a solid return and eventually retire early. It’s as simple as that. Being a Boglehead is something that I’m proud about and something that I feel more people need to be educated on. At the core, a Boglehead lives by 12 main principles. These principles are known within the investment world as the 12 pillars of Wisdom. These pillars were created by John Bogle, a visionary and founder of the Vanguard group. There are people out there that slam this type of investment philosophy. I let the numbers speak for themselves. If you follow these 12 pillars of Boglehead wisdom, you WILL make above average returns and beat 75% of mutual funds. No one, I repeat, no one should hire a professional investor. Markets are extremely efficient and they will try their hardest to convince you that they know things that you don’t. It’s really not that complicated. Focus on the basics and you will make good returns, if not better than the pros. Do not readjust your holding constantly. Hold just a few funds and call it a day. Let me tell you something. It’s amazing to only have to check my account once a month and see it grow. Now that’s freedom. Whip out your calculator and you will see that time is always on your side if you start investing now. The sooner you start, the bigger that nest-egg will be at retirement. Sometimes it’s worth it to rebalance and take responsible risks for a percentage or two higher. Long term, this could mean the difference between $10k and $100k. Spread your assets across as many industries as possible. This way, if an industry is down one year, it will barely make a dent in your portfolio. This triangle is comprised of risk, return and cost. Unless you have justification for high expense mutual funds, keep costs low and choose low-cost index funds. It’s the Boglehead way. Sooner or later, the highs and lows arrive at the mean. The market might have large swings in either direction in your lifetime, but if you shoot for the market average, you’re set for retirement. I don’t care about a mutual fund’s past performance. Past history is no sign of the future for financial markets. However, when it comes to picking bond or money market funds, take your time, do your research, and pick low costs over past performance and you will be one successful Boglehead investor. At the end of the day, you need to make your own choices for the type of volatility you accept. It’s up to you how you want to diversify your money. Keep it simple fellow Boglehead! Trends never last. They come and go. If a mutual fund has had a long streak of success, that’s your sign that it’s time to get out. Ignore the warnings about the future. Ignore the warnings from the past. Don’t get stuck in the “fighting the last war” mentality. Everything you hear, see on TV, emotions in life, and worries about the future are already priced into the market. You may think you know something, but you really don’t. Who cares about what the stock prices do in a single day? If you are a long term investor, your horizon is 10, 20, maybe 40 years out from retirement. Ignore the noise on CNBC, stay the course, and invest regardless of what the markets are doing. Well, there you have it folks. Now you know how I invest my money. The 12 pillars of Boglehead wisdom is quite possibly the best kept secret within the investment world. Kick stock chasing to the curb. Think long term, turn off the television and invest for your family’s future. Why take more risk than you have to? What Is Share Market And Its Significance?